The perfect way to hold a Christmas tree, our fleur de lis holder adds a lavish touch to classic holiday décor. Its wide base is sturdy and resists tipping, and can hold an artificial tree up to 8 feet tall. Its practical size allows it to be used on the floor or atop a table. After the holidays are over, use it with greenery or a topiary for year-round elegance. 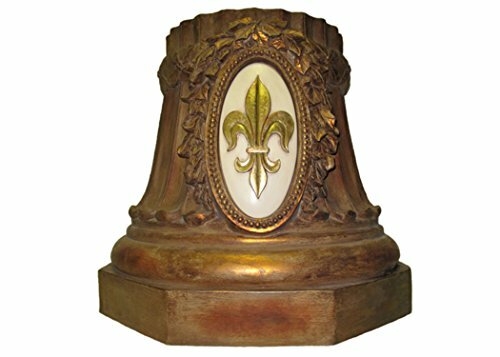 Fleur de lis emblem on cream ivory background. Please note that this is a special order item and is not returnable but will be replaced if damaged or defective.